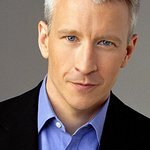 CNN’s Anderson Cooper will be a special guest on LIVE! With Regis And Kelly on Friday, March 12, and will fill in for Regis as co-host. The CNN anchor is an outspoken defender of public schools, and recently visited LA’s tumultuous Hollenbeck community, where youth gang violence is on the rise. Anderson is covering the current flux in education funding for the show, and wants your suggestions, advice, secrets and tips for families that need it most! What are some of the ways you maintain your budget and still send your little ones fully equipped for school!? What are some training strategies, and lessons you’ve instilled about respect, honesty and safety? Each comment and every Tweet sent to @Regis_and_kelly will be tracked. Every drip gets cataloged and added to the roster and quickly sent to Regis, Kelly and Anderson. So if you have advice to share, leave a comment or send a tweet!